Born, raised and studied here in Aotearoa. Has two speeds in life - fast and asleep. Always full of energy. Loves to dance in formal and not so formal places - the more unusual the better. Often way too loud for the situation. Can hear her coming from a mile away. Has a young fid (feathered kid) called Bruce and a soft spot for turtles. Loves sharing happiness, positive vibes and talking, talking, talking. 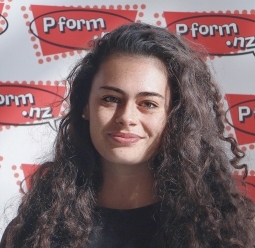 Gracie is the owner and operator of the Pform.nz Whangaparaoa Franchise. She is a talented woman in both the performing arts and business arenas and we are delighted to watch her achieve her vision and live her dream! Gracie has achieved her Bachelor of Dance Studies at the University of Auckland where she has worked with dancers and companies such as Touch Compass, Footnote New Zealand Dance and Moss Patterson from Atamira Dance Company. During her education journey, Gracie has taught at a variety of schools, hospitals and retirement villages which has given her the tools to teach a vast array of students from pre-school right through to teens and adults. Gracie has over 8 years of performance experience including performing in One Step Beyond (a contemporary youth company). Through her performance journey she has explored diverse dance styles and performances that include a range of cultures, styles, stories and personal journeys. She strives to be her own individual, to have fun and create work that inspires students, just like the many teachers and tutors who have inspired her to follow a career in the performing arts. Her classes are full of energy and fun, whilst remaining challenging and skill-based so all students can reach their full potential in the arts. Gracie creates class environments where students are valued as individuals and as a collective. A gifted choreographer and events organiser, Gracie led a team of over 60 performers from Pform.nz in the 2015 Santa Parade. Each year she contributes excellent choreography to our end of year productions. Gracie is an outstanding educator and her sheer passion and love for performance, dance and theatre make her an asset to the Pform.nz team. An avid dog lover and long-time Disney fan. These two passions combined when she named her dog Nala (after Nala from the Lion King!) Truly devastated that her Hogwarts letter never came through, still discussing with with her local post office...Hermione stole her thunder. Loves staying fit and active and competes in cross-fit regularly. Loud laugh that almost competes with her loud chewing. Favourite quote: a day without laughter is a day wasted. Anna Condon has completed a Bachelor of Arts degree Majoring in Drama. She found confidence through acting on stage at a young age. Her parents still routinely tell the story of her jumping up as a tiger at three years old and stealing the show. Anna is excited to teach with Pform.nz to enable young children to find their own voice and develop the confidence to use this. Anna comes from a nannying background and thoroughly enjoys working with children, watching them grow and develop. She also has vast experience within the theatrical world and loves directing as well as being on stage. Anna has an energetic and enthusiastic personality, ready to take on any challenge life throws at her. Her classes are filled with energy and laughter, we know your children will come away feeling uplifted after having a whole boatload of fun. We are delighted to have Anna on the Pform.nz team and know you will love and learn from her theatrical expertise. Small town girl raised on motorbikes, go karts and of course the odd dance, drama and music lesson here or there. Her passion for acting, film and dance resulted in a one way flight to Auckland and she's never looked back... Loves hip hop, hot yoga, the colour green and secretly wishes she had an identical twin. Completed both the Diploma's in on-screen acting and film directing and screenwriting from South Seas Film and Television School and is continuing to work in the film/television and creative industry. Recently returned from China where she was flown as a part of the New Zealand team to compete in an international film festival . If she's not sipping coffee, smashing her drum kit or twinkling the ivories, Grace will be writing scripts, painting faces, taking photos or adventuring outdoors. Originally from the mainland. Tom is a actor through and through and has had a passion for story telling and performance since he was knee high to a grasshopper. Imagination driven performance is his passion and he loves how theatre can connect and inspire people from all walks of life. Too loud and energetic for his good, Tom loves quoting and performing Shakespeare (requested or not). He has an extensive knowledge on Batman and Batman related themes, loves literature, poetry, classic cinema and never turns down pizza when offered. Tom has a strong passion for the performing arts and has carried that passion with him from early age. In 2007 he graduated from UCOL School of Performing Arts and since then he has gathered a wealth of knowledge in the industry as a professional actor. He holds a Diploma in Speech and Drama Teaching from Trinity-Guildhall College, having completed his ATCL in 2008. Tom is an energetic, confidant and vibrant performer who always endeavours to bring his all to any project. From 2009-2011 Tom travelled the country with the renowned Ugly Shakespeare Company and has since been involved in a variety of theatre productions including Wellington fringe festival production of Nosferatu versus The Transit of Venus, the Royal performance of Hairy Maclary and Zoo Boogie New Zealand and London tours. Tom has a great love of children's theatre has performed numerous roles including Bottomly Potts and the incorrigible Mr Toad. Tom is a gifted and talented performer as well as being an outstanding educator. He can weave his magic with students from pre school through to teens and adults and his classes are professional, inspiring and fun. He teaches acting, drama, performance, dance to junior classes and Musical Theatre. His pure love for the performing arts and his gift for education makes his the ideal Pform Partner and we are delighted to have him as a strong and valuable member of the Pform Team. Avid watcher of any and all television shows - name any show and he can give you a super long chat about it! Cannot live without song and dance and can be seen singing and dancing around at any given moment. He loves music and can jam to anything (besides rap)! He is a true kiddie at heart and would never turn down a nostalgic watch of anything ‘childhood’...Hannah Montana, anyone?! Josh has just finished his final year of high school, and is going in to start Communications at AUT in 2019. Josh is super passionate about all things musical theatre; acting, singing and dancing. He has loved performing his whole life and was able to put that to practise when he joined Pform when he was just 5! He took a break when he was 12 and 13 but rejoined to go on the 2017 L.A. trip. He went with a group of 20 performers for intense and professional dance classes, and to dance at Disneyland! This trip was incredible and helped lead onto ELITE, Junior Leading, being promoted to Junior Tutor and now being a full-blown Tutor! He is a part of Pform’s ELITE Dance Troupe and Punch Monkey Theatre Company, and he is now about to start classes in preparation to go on the Pform.nz Musical Theatre tour to New York in 2019! During his time in High School, he has been involved in productions such as ‘Pippin’, ‘Miss Saigon’, ‘Our House’ and ‘Beauty and the Beast’; and in 2018 he was involved in the ensemble for Auckland Musical Theatre’s Production of ‘Mamma Mia!’ at Bruce Mason Centre. Pform student since 2009, loves socialising, blasting loud music, and travel. Thanks to hard lessons from mum about colour coordination growing up, fashion has always been on point. Passionate about dance since the age of two, sadly there are videos of toddler Jack in his nappies to prove it. Biggest achievement is placing sixth in the world at the World HipHop Championships in the MegaCrew division. In between competing and training you’ll find him sleeping through five alarms,binge watching Game Of Thrones and eating more chocolate than he should. Thanks to his time as a Pform.nz Junior Leader, he has an unhealthy obsession with coffee. Jack is always ready for some sarcasm, banter and a good dance battle. Growing up Jack has had a huge passion for dance (hip hop & contemporary) and drama. He was always involved with school dance competitions such as JRock, Stage Challenge and Showquest, on top of that he was a part of the winning Stage Challenge school in 2016 with Rangitoto College. Some of the most memorable performances have been during the nine consecutive Pform shows. Whether it was playing Jack in “Jack and The Beanstalk” or the unforgettable take on the famous Titanic scene where yes, he played Jack once again. Between 2012 and 2016, Jack was a junior leader for Pform and loved every minute of watching the kids grow in both confidence and skill. In 2014, Jack took part in the first Pform.nz dance tour to Los Angeles, danced on Hollywood Boulevard and the DisneyLand Stage and seized every opportunity to take classes overseas to grow as a dancer. Returned to LA in 2017 to take classes from top choreographers at studios such as Millennium,The Edge and IDA. Jack gained so much from this experience and it helped him successfully audition for YUNG ID 2018. All thanks to the years of learning and growing as a Pform student. His crew placed first in New Zealand and sixth in the world at HHI Phoenix, Arizona 2018. Auditioned and took part in the Rangitoto Hip Hop MegaCrew from 2017 onwards and co-lead the crew in 2018, bringing them to their highest ever placing of fourth at Nationals. Currently studying NCEA level 3 at Rangitoto College including dance and drama. Has been the only male studying dance at NCEA level at Rangitoto college for past 3 years, pushing him to encourage other boys to get involved with dance whether it be in or out of school, beginner or advanced. Jack is so excited to share the skills his journey has taught him so far and to transition from a junior leader to a tutor. Be prepared to have fun, try something new and SWEAT. Pform.nz dance and drama student for around 8 years! Pform.nz is a part of her life and she doesn't know who she would be without it. Among the first Junior Leaders and loves to mention that regularly at staff PD's. Dance and Drama - and particularly Musical Theatre - are the most important things in her life, that - and food. Weirdly great at remembering lyrics and loves to sing, loudly, to any and every song that comes on. Loud, excitable and just a little bit weird, she enjoys Pform.nz classes above all else. Hannah joined Pform.nz in 2009, and became a Junior Leader in 2012, working alongside our team of tutors supporting students for four years. She is currently studying a Bachelor of Arts at Auckland University, with a double major in Drama and Media, Film & Television. Hannah began taking dance classes at a young age and has always had a passion for performing and the stage. Confident in styles of dance such as Jazz, Hip Hop and Contemporary, her own choreography tends to be a blend of all three allowing for a diverse view on dance. Often referred to as a 'Drama Queen', she believes that acting is the greatest passion in her life. From Shakespeare to Improvisation, Drama has always been a significant part of both school and after school life. Hannah performed most years in at least one of two productions her school produced from Year 9. Most recently she took on the part of Puck in a modified version of Shakespeare's A Midsummer's Night Dream, a role in which she flourished as a punk rock American Shakespearian fairy. Hannah often participated in performance opportunities that were provided by Saint Kentigern College, such as the Sheila Winn Competition, and Junior Broadway. Along side these performances, Hannah was part of an elite chosen group of 10 students to study 'Drama Extension'. Hannah was one of 20 performers who toured Los Angeles with Pform.nz in 2014 where she danced onstage at Disneyland as well as taking dance and performance classes at IDA and Millennium Studios in Hollywood and performing on Hollywood Blvd. Born and raised in Auckland. Loves playing the ukulele and singing loudly. Always up for spontaneous adventures, usually to the beach. Absolutely treasures being on stage, and the hard work that goes on beforehand even more. Adores musical theatre and will often burst into song at the most unexpected of times. Always excited about learning new things. Watches a lot of docos, eats a lot of marshmallows, and reads a lot of books about child development & education. Kody is currently in her second year of a Bachelor of Teaching, specialising in Early Childhood Education. Ever since she was small, she has loved to dance and sing, taking jazz dance classes as a child, and participating in performance opportunities throughout school. She was a competitive cheerleader for two years and credits that experience for her high value of teamwork. In college Kody was a member of the choir, and performed in two of the musical productions her school put on, 'The Wedding Singer', and 'Joseph and the Amazing Technicolour Dreamcoat'. Performing in 'Joseph' affirmed her passion for performing on stage, especially in Musical Theatre. 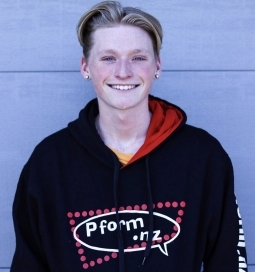 Kody joined Pform.nz as a student in 2013 and fell in love with the culture and unique curriculum as well as the mix of dance, singing, and drama. She became a Junior Leader in 2014, and has treasured this role ever since. Seeing each and every student grow in confidence and skill throughout the year truly motivates her to be the best tutor she can be. The students passion, energy, determination, and laughter is what makes her so excited to be part of the Pform.nz Team. Kody's classes are fun and she is passionate about her teaching role and passing on her love of performing. We are just delighted to welcome her on board our team of talented professionals. Pform.nz student since 2003! Secretly a ginormous history nerd and sometimes prefers studying Shakespeare than performing it! Literally the biggest Cinderella fan in the entire world. Believes firmly that Beyoncé is the reason for existence. Unhealthily obsessed with coffee (ask anyone at the Pform.nz shows) and would never turn down a High School Musical marathon. Rose has been a part of Pform.nz ever since she was three years old. On top of performing in four show items every year, she has attended countless Pform.nz workshops, holiday programs, camps and tours. In 2012, Rose became a member of the first Team of Junior Leaders and began teaching her first classes as a full Tutor in 2016. Rose also formed a part of Pform.nz's 2014 LA Disney Tour Troupe and travelled with 20 other dancers to California to perform on stage at Disneyland. She loved it so much that she's going again in 2017! Clearly, she enjoys challenging herself in dance and exploring a huge range of styles from ballet to Hip-Hop. Her fondest childhood memories are with the Pform.nz family, and her years as a Pformer have aided her in finding lifelong friends amongst students and Tutors alike. Rose is passionate about acting and always finds a way to include drama into her life. In 2015, Rose was nominated as Best Director after adapting, directing and performing as Helena in her rendition of A Midsummer Nights Dream at the Shielah Winn Shakespeare Competition. She also played Lavinia in a production of Shakespeare's Titus Andronicus at the PumpHouse Theatre, for which she was nominated as Best Supporting Actress in the 2016 Showdown Awards. During her time in High School, Rose has played in Into the Woods, Anthony and Cleopatra, The Importance of Being Earnest, Graceland, An Inspector Calls, The Tempest and Much Ado About Nothing. She also directed her school's Junior Shakespeare performance of Romeo and Juliet and was chosen to MC the Senior Graduation Evening and prestigious Arts Awards Ceremony. Rose won 'Most Potential in Drama' and the Claire Wheeler Cup for Outstanding Effort in Drama in Rangitoto College's 2015 and 2016 Arts Awards and endorsed Drama with Excellence in all three levels of NCEA. As a singer, Rose is classically trained, forming a member of the auditioned SOS Girl's Choir and the top choir at her school- the Fundamentals (with whom she travelled to Dunedin in 2016 to compete and win silver in the Big Sing finale). She was also chosen to sing the National Anthem at her school's special assembly in 2016 and was chosen to sing in a quartet pit-choir in her school's award-winning production of Beauty and the Beast. Rose is currently studying towards receiving both a Bachelor of Arts and a Bachelor of Commerce at Auckland University. She can't wait to take on another amazing year at Pform.nz and learn from her students just as much as she'll be teaching them! Her classes are fun and she has a wonderful nurturing quality in her teaching. She is a valued member of the team and we are delighted that she is on board for the 2017 year. Surfer. Born in Wellington, and feels strange without the wind! Loves to sing, dance, act, and make silly voices ALL THE TIME. Feels most at home when performing. Also feels most at home when eating Kransky sausages, and sitting on the beach. Suh dudes! Catch me as bad boy Caleb Saunders in family series WILDE RIDE (TVNZ OnDemand), where I ride some sick motorbikes and cause havoc. Jonathan is a graduate of The Actors Program, and a graduate of Whitireia Performing Arts Centre with a Diploma in Musical Theatre. He recently produced the double bill season of No Science to Goodbye & Todo Verano at Te Pou Theatre. He produced & directed a short film ‘At First Sight’ for the Wellington Night Market film festival, which won first prize. Jonathan's Musical Theatre credits include Sky in MAMMA MIA! @ Bruce Mason Centre (2018), Sonny in Grease (Wellington Musical Theatre), Luther Billis in South Pacific (Hutt Valley Orchestra), Fred in Smokey Joe's Cafe, Sebastian in Serial Killer Barbie, and Timothy in BOXED (NZ Fringe Festival '15). In classic theatre, Jonathan played Jasperino in The Changeling (dir. by Michael Hurst), Chiron in Titus Andronicus, and multiple roles in Earthquakes in London (Basement Theatre). His notable screen credits include Caleb in TV2s recent Wilde Ride, and Ben Smart in Doubt: The Scott Watson Case. He played a supporting role in Pork Pie (2016), and starred in a nationwide Vodafone commercial. Jonathan guest starred on Shortland Street as bad boy Connor Stuart. Jonathan has been working with children in different areas since he began working at 16! Aquatic Instructor, Lifeguard, Robotics & Technology Instructor, school holiday programme facilitator, and drama teacher are some of the positions he has worked as. He loves kids, loves seeing them shine, and working to build their confidence through performance. Jonathan really is the triple threat and we are just delighted to welcome him to the Pform.nz team. We know that you will love his classes be it drama, dance or musical theatre. Loves adventuring and exploring, but nothing can beat movies inside on a rainy day. Her favourite things include dancing, makeup, Japanese food, TV, films and any form of potatoes (especially roast potatoes). As a child she would perform full musicals for all her soft toys and force her 4 older siblings to watch her dance routines. You will most likely find her curled up on the couch watching a movie, or or in the gym burning off some energy! Neala has completed her Bachelor of Communication Studies, majoring in Television and Screen Production. Her passion for Dance started as soon as she could walk. One of her earliest memories is forcing everyone in the lounge to watch her improvised dance recital. She has experience in Advanced Hip-Hop, Contemporary, and Jazz. She has achieved NCEA L1, L2 and L3 Dance, with Excellence. Her final year of high school was spent tutoring and teaching a Year 9 dance class in her study break and her spare afternoons teaching a Contemporary dance class. She choreographed in Stage Challenge for 3 years and lead her school Kapa Haka group. In 2014, Neala was selected by her school to travel to Vegas and LA to take part in advanced Hip-Hop classes and workshops. Drama is also a passion of Neala’s, performing in the school production ‘Much Ado About Nothing’, backstage in ‘Les Misérables’ and choreographing dance numbers in ‘Vegas’. She was also selected to partake in the Young Women in Leadership conference that taught her valuable skills in teaching and leading Neala’s determination drive and passion lead her to receive numerous awards in prize giving’s including the Principals Cup for Contribution to College Life, Cup for Excellence in L2 Maori and L2 Dance, and the Te Tukuna Kakano Ruatanga Trophy for Bi-Cultural Leadership. In the Arts Prizegiving she was awarded ‘Most Captivating Dancer’ and ‘Spirit of Dance’ and was even voted ‘Most Likely to be Famous’ by her graduating class. In her holidays, Neala spends time volunteering as a Programme Director for Peter Snell Youth Village kid’s camps where she has learnt how to connect with, guide and build confidence in young people. As an Aunty to six nephews and nieces, she has plenty of experience with kids of all ages and loves seeing the people that they grow and develop into. 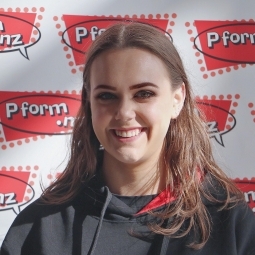 Neala is excited to teach with Pform.nz to help children build performing skills, confidence, self-esteem and a sense of personal achievement through the performing arts and we are just delighted to welcome her to the team. Born in South Africa but has really adapted to the kiwi lifestyle, having lived all over NZ - Auckland, Dunedin, and Wellington. Loves a good musical, you name it, she can sing it! Was way too obsessed with High School Musical and Twilight when it came out. Cried when she watched The Lion King on Broadway. Loves travelling so much - ask her about it and she won’t be able to stop. From as soon as Tammy can remember, she has always loved performing. Her family has sat through countless home performances as she aged until she started participating in Drama classes from as young as age 8. Going from class to class and moving to NZ she joined the Pform.nz program where she participated in drama, hip-hop and contemporary classes and her love for performing grew. Now at 22 she is still a lover of the arts and took it further to study at Otago University graduating with a Bachelor of Arts in Theatre studies and Sociology. When Tammy is not performing drama she is performing dance, she is a qualified Zumba instructor and takes a few classes in the community. Now back and joining the Pform.nz family as a tutor she is ready, full of life & energy and with a few more skills up her sleeve ready to help develop young actors to realise their full potential. We loved her when she was a student and we are just delighted to welcome Tammy back as a Tutor! Your friendly neighbourhood Adam Pereira is always up for a good chat and a lot of laughing! Say the words “Marvel” or “DC” and BAM! you’ve made a new friend! An entertainer whether on stage or not and favourite pass time is just having an excellent conversation with someone and seeing them laugh and smile. Adam can’t remember a time where he wasn’t an actor. Since his first year in primary Adam was always involved in the school plays and thrived on the stage. Adam has had a lot of time on stage, and it shows in his accolades! 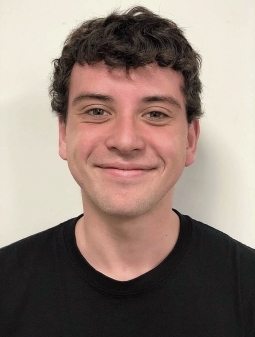 Adam won the Junior Drama Trophy at Rangitoto College as well as the Most Potential in Drama, Theatresports cup and the Claire Wheeler Cup for Outstanding Effort in Drama at the prestigious arts awards which he even hosted in his final year at Rangitoto. Adam was no stranger to hosting as he also hosted the prestigious Rangitoto Fashion Show that year as well. Adam is a Shakespeare lover, having performed as Macbeth and Malvolio in Junior Shakespeare. He also rocked the Pumphouse theatre as one of Shakespeare’s evils villains Aaron in Titus Andronicus and The Duke in Measure for Measure with over 850 lines which earned him a Showdown Award nomination. Adam's acting abilities are not only limited to serious Shakespeare, but he also performed as part of the Beauty and the Beast production in Rangitoto College. 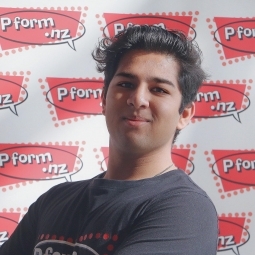 He found perhaps his second calling when he was selected as one of 11 students from across 20 different schools to be a part of the Class Comedians program where he performed a stand-up routine as part of the international NZ comedy festival. Adam was also a part of the Mainly Men choir for three years and in his last year at Rangitoto College performed as a member of the top choir the Fundamentals which achieved silver at the big sing finale. Adam is an accomplished academic finishing NCEA Level 3 with an excellence endorsement. He hopes to hone his craft and study at an acting school where he can become the best performer he can be. His classes are fun and vibrant merging his love of acting and comedy with his strong singing ability. We are delighted to welcome him to the Pform.nz team. Outgoing and vibrant with a warm personality, Jess loves keeping physically active through dancing, pilates, yoga, gyming and swimming. Her friends are constantly telling her off for her dancing and off-key singing in public. Luckily her appalling singing is acceptable at the concerts and music festivals she enjoys going to. Infected with the travel bug, she is itching to get to Europe and South East Asia. She loves beach walks with her family, including her little white dog Millie! But if Jess does get a rainy day off you’ll find her snuggled up in bed with a block of Whitakers Creamy Milk, watching the Grey’s Anatomy series for the 3rd time. Jess is currently studying to complete her Bachelor of Health Science majoring in Physiotherapy. She has 16 years of dance exam and competition experience in ballet, contemporary, lyrical, jazz, musical theatre and hip hop. She has received 95% or higher in all her dance exams, and passed every NCEA dance unit standards with Excellence. In 2017 she competed in the Australian Showcase Dance National Championships and was awarded 1st and 3rd place in her divisions. She adores every dance genre but her heart has always been with Contemporary dance. Jess has a passion for teaching and choreographing as she values the heart-warming feeling she gets when helping her students come out of their shells and grow to their highest potential. She also has experience planning large dance shows and performances, from the dances themselves right down to the lighting and backdrops. She is very passionate about human anatomy and physiology which is why she is currently studying a Bachelor of Physiotherapy. She makes a point to pass down strength and conditioning training to her dance students to keep their bodies safe and healthy. She hopes to combine her two passions by becoming a Physiotherapist that specialises in work with dancers. We are delighted to have her join the Pform.nz team. Three-fold American, British and New Zealand and will accidentally slip into each accent if around them. Raised on F.R.I.E.N.D.S, the Big Bang Theory and Modern Family and can quote any and all episodes from it. Known throughout Auckland cafes for an unhealthy attachment to coffee. Has been described as a louder version of a Disney Princess. Firm believer that Queen is the best band to exist. Owns at least three Barbie t shirts. Says 'Thank you' almost 100 times a day. Notorious for removing important furniture to make space for clothes. Loves acting, dancing and singing, will make any conversation two times louder and five times faster. Crazy & fun. A girl who is able to be extroverted, perform in front of people & be a home body who binges Netflix whenever she can - seems to be a good balance! Catch her listening to only Musical Theatre music and trying to catch up on the latest pop music trends to understand the “normal people”. A proud kiwi get-go'er. From Ngaati Maniapoto tribe. Favorite food is pickles, all pickles. Loves to pretend, loves spontaneity, loves people, people, people. The future Mrs DiCaprio. Can be found excessively jamming out to 70's classics or on the beach. Faithful to my beautiful Maori culture. Lives for the journey rather than the destination. Ebony has been on the stage since she was four years old; acting, singing and dancing and simply lives for it. She has trained in Ballet, Latin American, New vogue and Ballroom dancing. Ebony is also a classically trained singer, particularly in opera and musical theatre. Most recently Ebony played the lead role of Belle in the Disney classic, "Beauty and the Beast" and received a nomination for best female lead in a production at the 2016 Show Down awards. Her passion for singing was enriched when she toured Germany in 2015 with " The Fundamentals Choir" to compete in the European choir games where they received numerous awards. Ebony's first major Role was Lucinda, Cinderellas step sister in Andrew Lloyd Webber's "Into the Woods" ( 2014); Last year she played Amelius in Shakespeare's "Titus Andronicus" at The Pumphouse Theatre and also played the lead role, Dana, in Riwa Brown's "Nga Wahine". Throughout her schooling Ebony was heavily involved in drama where she was endorsed with excellence each year, she was awarded the drama award multiple times and also received an Outstanding Scholarship for Drama in year 13. She lead her school Kapa haka team on and off stage and loves busting out a haka when she can. Her role of choir leader for the top two choirs in school ( SOS and The Fundamentals) grew her passion for teaching. Since 2015 she has been a member of Massive company, one of New Zealand's leading physical theatre company's and has been cast in their show "Hope Burns" which will be performed in The Q theatre and Mangere Arts theatre this year. Ebony is a passionate tutor and loves her perform. net students as she constantly learns from their beautiful creativity, imagination and truth. Sydney born and bred. Auckland now home. Bought house in West Auckland with hubby-to-be. Adopted orphan kitten Puku. Renos currently running life. Loves dancing with friends in random places. Always up for travel adventures, spontaneous road trips... anything out of the norm. Big foodie. Keen movie go-er. Occasional Netflix series binges. Still ridiculously obsessed with F.R.I.E.N.D.S. Main life goal - surrounding self with extraordinary people, food, coffee, wine. Melissa joined our Pform.nz family in 2008 and has held many positions of responsibility within the company from implementing and managing production systems and processes to overseeing curriculum and class management. She graduated from Macquarie University in Sydney with a Bachelor of Education (Early Childhood Education) which included many Performance electives. Melissa's involvement in Performing Arts began as a child with drama classes and since then she has been involved in various Australian theatre, film and television projects. Melissa was awarded a scholarship with the Pact Youth Theatre in Sydney and worked with the Impact Ensemble for the 2002 Year of the Outback finale performance ‘Wide Open Road’ at the Sydney Opera House. She is a professional, committed and talented team player who inspires her classes to perform with enthusiasm and passion. Her classes are vibrant and she inspires her students to be the best that they can be in theatre and in life. Melissa's role includes looking after our valued clients and adding value and support to the Pform Partners and Tutors. She also is heavily involved in the implementation and delivery of the curriculum as well as the production elements of the company. Her education training is in the early childhood sector and she weaves magic with this age group but she can teach and inspire children of all ages up to teens and adults with professionalism and skill. Melissa as a strong and valued member of The Pform.nz team.